Around 5 pm yesterday [Mon 11 Sep 2017], a 40-year-old woman suspected to have died from the pneumonic plague, according to a source within the (BMH), was buried at the cemetery of Anjanahary. She died at the Respiratory Diseases Service of the hospital in Antananarivo-city, after being admitted on [ Sun 10 Sep 2017], according to concordant sources. The victim had contracted the disease during a holiday in the east of the Big Island. "She was staying with her family in Toamasina, when 4 of the family, including the husband and wife, died suddenly. It was suspected plague," reported a relative. The eastern part of the island is, however, not a plague area. It is feared that those deaths are connected to that of a person who came from Moramanga and was travelling in Toamasina. Sources reveal that the latter would have joined Toamasina by bush taxi, starting from Moramanga, following a suspected pneumonic plague outbreak. It is believed that a young man sitting next to him in the public transport was then infected, and also died. Asked about these facts, the responsible service of the fight against the plague in the Ministry of Public Health at the hospital, preferred to remain silent. The same happened with the director of health surveillance and epidemiological surveillance of the Ministry, who is currently on a mission to Toamasina Another source in the ministry who would urge everyone to take precautions against these suspected cases of plague, revealed the existence of 5 suspicious deaths and 10 patients since the beginning of the plague season. They were listed in Toamasina, Moramanga and Miarinarivo excluding that recorded in Antananarivo. She also stressed that members of the family of the deceased in Toamasina would have already returned home to Mahajanga and Vohemar. However, there is no risk of transmission of the disease to those who have been in contact with the victim. The team of the Ministry of Public Health and of the BMH had been rushed to the hospital to distribute plague prevention drugs to his family and relatives and the hospital staff. They have also conducted a service disinfection operation where the deceased was admitted and the mortuary. Despite this, consulting a doctor is highly recommended in case of suspicious symptoms, namely high fever, painful glands, cough with bloody sputum. Bushfires are to be avoided and the sanitation of the neighbourhoods is indicated, to prevent the rats from entering the village. 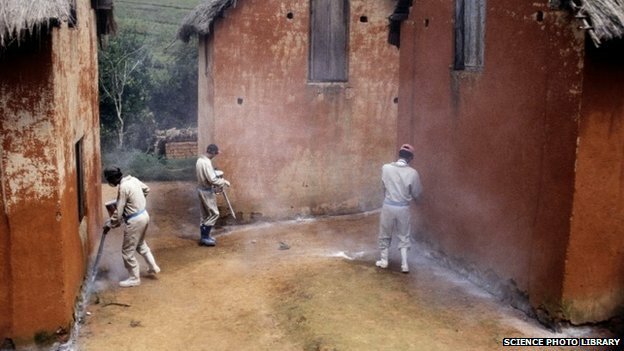 Health officials have warned this is the “worst outbreak in 50 years”. And disease experts have said that if virus mutates, the epidemic will get much worse. Speaking to Daily Star Online, disease outbreak expert Professor Paul Hunter said that the disease could be contained if it arrived in Europe but the worry would be if the plague became resistant to antibiotics. "As with any disease, it's a real worry that it mutates and become untreatable," he said. “If it reaches the UK, Europe or the US it would be similar to the Ebola outbreak.